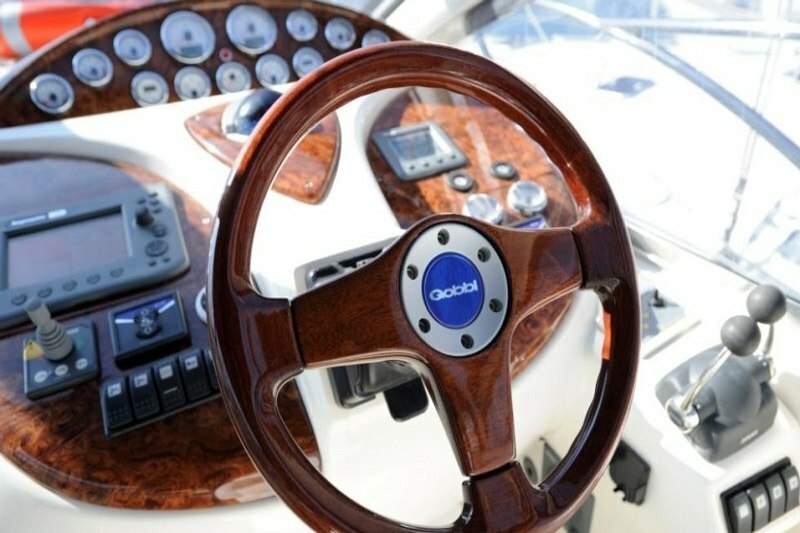 Gobbi 425 SC is a Motorboat characterized by its elegance. 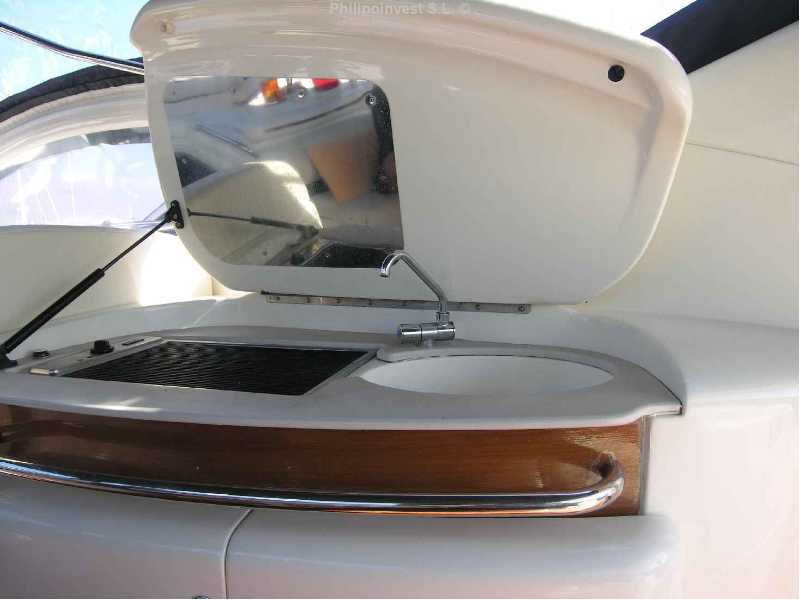 Gobbi 425 SC is a Motorboat characterized by its elegance. 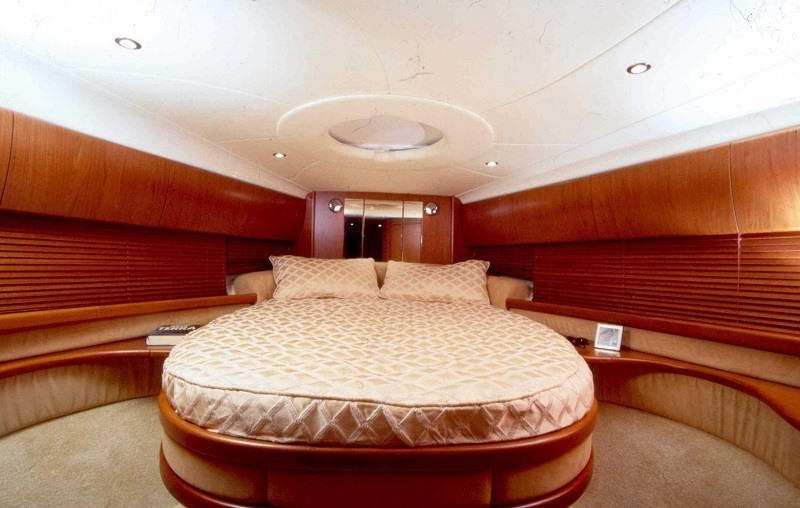 Charter this Gobbi 425 SC allows you comfort and perfection that are the two best adjectives for this boat of 13.70 meters of length, which is able to accommodate 4 people with its 2 gorgeous and comfortable cabins. 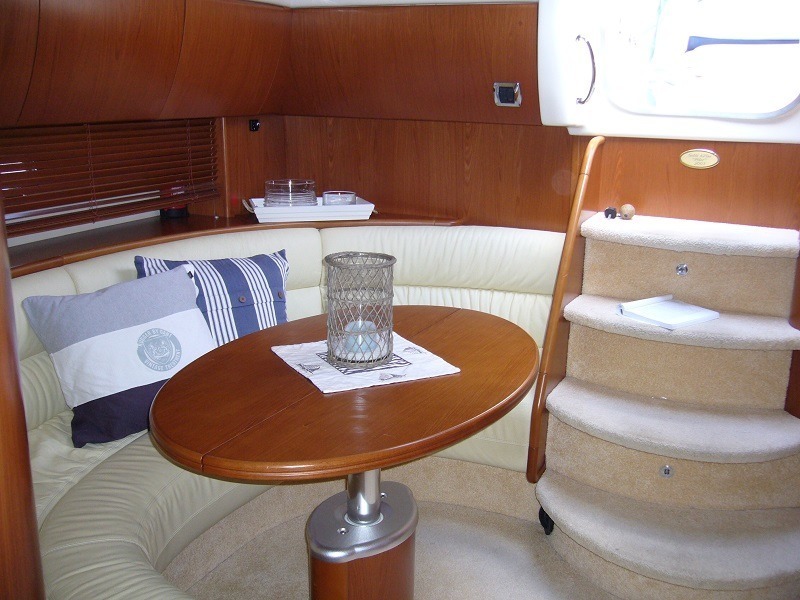 It has a great cockpit layout, with a large semi circle seating area, a huge sunbed, wet bar with grill. 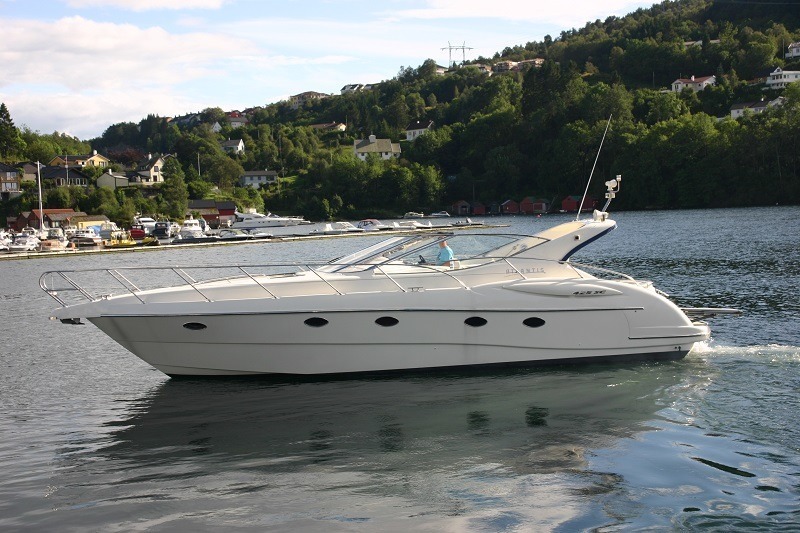 Fitted with twin Volvo Penta D6 engines. 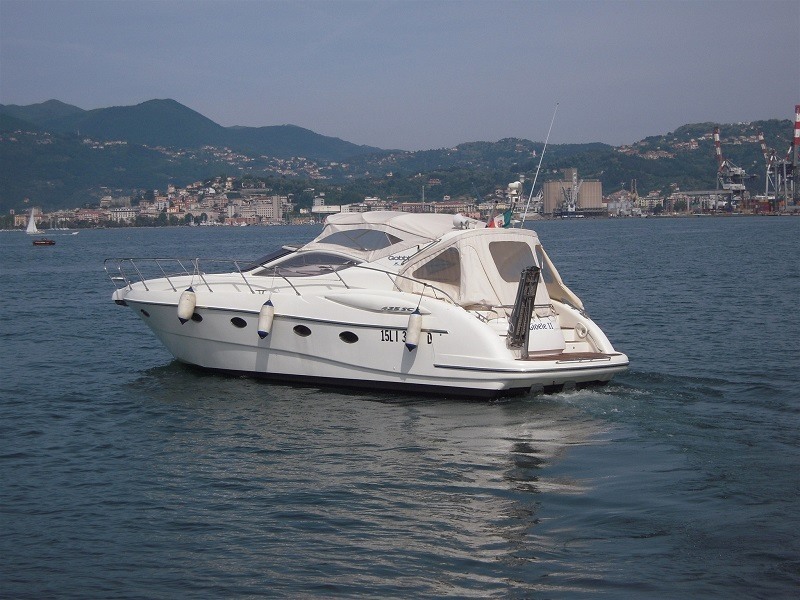 A spacious interior with two large cabins, a convertible saloon, well equipped galley and two heads both with electric toilets, Hydraulic passerelle, Bow-thruster, Raymarine navigation package and Generator. – 6 Berths in 2 cabins plus convertable saloon. – Two En Suites with Toilet, Shower and Holding Tanks. – Door to En-suite shower toilet room. – TV DVD, reading lights, wardrobe, mirror, Wall units and bedside tables Guest heads.